To transfer your 8mm/Hi8/miniDV/Digital8 tape to a DVD Recorder, just follow the following steps if using either standard Composite or S-video connections on your camcorder and DVD recorder. Make sure you plug the camcorder directly into the DVD Recorder and NOT the TV. In addition, you have to make sure that you switch your DVD Recorder from its tuner to its AV inputs in order get the signal from those inputs to record on DVD. This is done with either an input select button on the DVD Recorder's remote or front of the DVD recorder. If your DVD Recorder has both video inputs on the front and back, the back inputs are usually labeled Line 1, AV1, Aux1, or Video 1 and the front inputs may be labeled Line 2, AV2, Aux2, or Video 2. Plug the Audio/Video cables supplied with the camcorder to the AV outputs of the Camcorder, and the other ends to the AV inputs on either front or back of the DVD Recorder. Switch the DVD recorder to AV-in, Line-in, or Aux in (depends on brand). Put the tape to be copied in the Camcorder, and also put a blank DVD in your DVD recorder (make sure the DVD is formatted or initialized - depends on format used). Press play on the Camcorder, then press record on the DVD Recorder and you will be able to copy your tape. When your recording is done, press Record Stop on the DVD recorder and stop on the camcorder. Depending on what format of disc you use in the DVD recorder, you may need to go through a finalization step before removing the DVD from the DVD recorder. If you need to finalize your DVD, this step takes several minutes. On formats that require finalization, this process allows the finished DVD to be playable on most standard DVD players. On a miniDV or Digital8 camcorder you also have the option to use the iLink interface to copy your video to a DVD recorder, provided the DVD recorder also has an iLink input. Most DVD recorders have this input on the front panel, but some DVD recorders do not have an iLink interface. If you have this option available, however, this method is preferable for copying miniDV or Digital8 camcorder video to DVD. You need a 4-pin to 4-pin iLink cable (also referred to as Firewire or IEEE1394) to connect the miniDV or Digital8 camcorder to the DVD recorder. 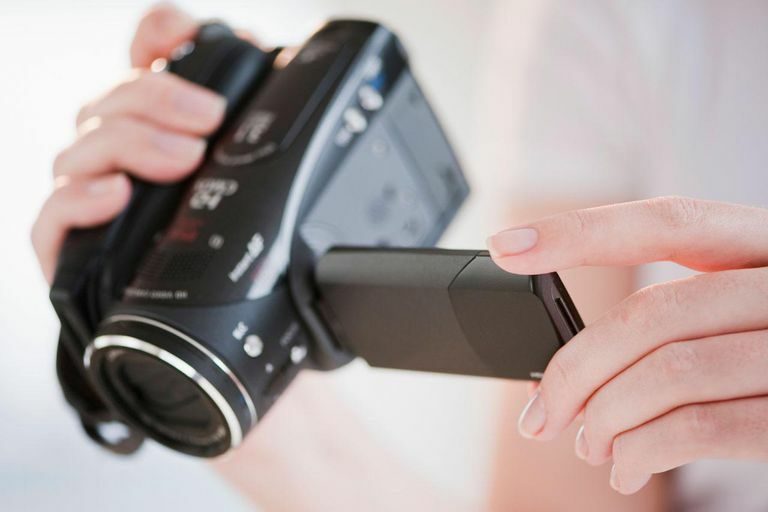 If you have a DVD Recorder/Hard Drive Combo unit, you also have the option of transferring your camcorder video to the hard drive first, make any changes that you may need, depending on the capabilities of the hard drive's firmware, then copy your completed video to DVD at a later time. This method also allows you to make multiple DVD copies (one-at-a-time) of your camcorder video using the same source (the video stored on the DVD recorder hard drive). This ensures the same quality on each DVD copy, which is great for distributing DVDs to friends and family. Is it worth buying a DVD recorder?